The automatic categorization of a person’s demographic information such as gender, age, or ethnicity represents an invaluable asset for both market analysis and video surveillance. On the one hand, it facilitates accurate real-time statistics about observed market segments in a shop, and makes it possible to dynamically select and display advertisements based on the customer type. 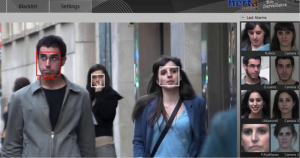 On the other hand, labelling all detected faces in a surveilled scene would enable refined search, retrieval and visualization capabilities for surveillance applications. By means of machine learning techniques, vectors of invariant visual features can be extracted from facial images, and projected into new vector spaces that enhance data discrimination among the selected categories. The student will parallelize an existing prototypical algorithm that estimates a series of target attributes from facial images, like gender, age range, ethnicity, and the presence of clothing complements like glasses and caps. The required regression and classification models will be trained using available CUDA-oriented machine learning libraries. The resulting code will be highly optimized to work under real-time HD video constraints. The student will learn how to identify potential parallelism, to port the codes to a parallel environment using accelerators and to do performance analysis of parallel applications.